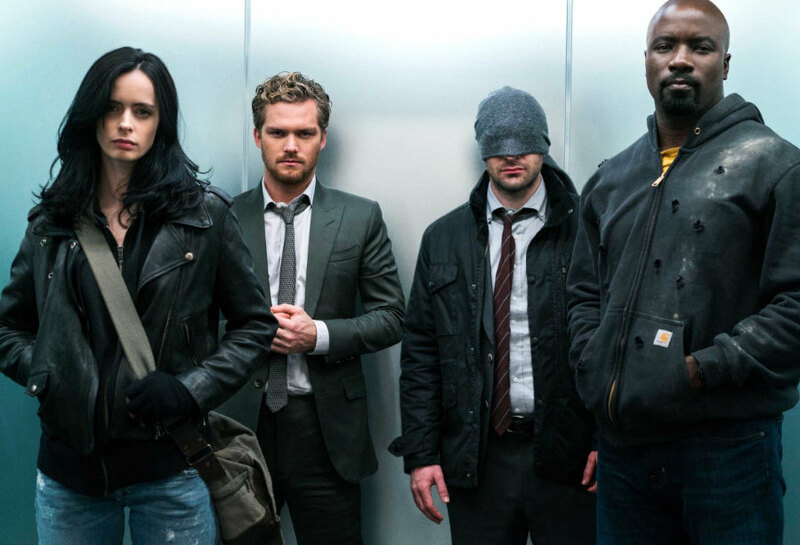 A claim has landed online offering that Marvel's Agents of SHIELD on ABC is more popular than the Marvel Netflix series, which includes Daredevil, Punisher, Jessica Jones, Luke Cage, Iron Fist and Defenders. The claim comes from Parrot Analytics, who describes themselves as: "Global TV demand measurement: Discover the most wanted content in 100+ markets across all platforms." While the ratings and viewership for Agents of SHIELD are made public, Netflix doesn't release ratings info, but according to Parrot Analytics, they use other sources such as global file-sharing, peer-to-peer traffic, and social media activity. No numbers were made known other than stating Agents of SHIELD is at the top 0.03 percent of in-demand TV shows worldwide. A quick check of the ratings and viewership for Marvel's Agents of SHIELD reveals it's at around a .4 rating with 1.63 million people tuning in. Worth a mention is that after seven days with DVR and digital views added in, the viewership jumps by around 150%. So from Parrot Analytics' analysis, that would mean Daredevil and the other Marvel Netflix shows achieve a lower rating and number. Regarding if the numbers the company comes up with are actually legit probably should be questioned, becomes when it comes down to it, if something is popular, it wouldn't have a hard time getting renewed. Agents of SHIELD was said to only get renewed for the subsequent seasons due to Marvel Chairman Ike Perlmutter demanding additional seasons, and Agents of SHIELD Season 6 looks to be its last and comes in at half the amount of episodes. In addition, SHIELD is on hiatus while Clark Gregg and Samuel L. Jackson appear in the MCU movies, Captain Marvel and Spider-Man: Far From Home. So just how popular is it (top 0.03 percent, really?)? It should be noted that following the cancellations of Luke Cage and Iron Fist, a separate report from another analytics company also recently offered that the Marvel Netflix shows viewership is declining based on social media buzz leading to speculation that Daredevil could be canceled; however, Vincent D'Onofrio, who plays the Kingpin, recently said the series is not getting the axe. I also think it kind of seems odd that following the cancellations of Luke Cage and Iron Fist, there are these analytic companies now coming out claiming the viewership numbers for Netflix are bad. It seems more than likely that the cancellations have to do with Disney launching their own streaming service that competes with Netflix, which is using Marvel Studios for new TV series (and not Netflix or Marvel TV).